The Grendel Affair by Lisa Shearin (broadcast 1-6-2014) Supernatural Protection & Investigations, known as SPI, investigates things that go bump in the night and the monsters you thought didn’t exist. Lisa’s lead character in this new series of speculative fiction novels, called The SPI Files, is Makenna Fraser, a Seer who can see through any disguise, shield, or spell that a paranormal pest can come up with. 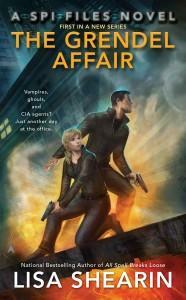 She tracks down creatures and her partner, Ian Byrne, takes them down. In this first of the new series it’s descendants of Grendel wandering the New York City subway tunnels intent on revenge and mayhem for New Year’s Eve in Times Square. 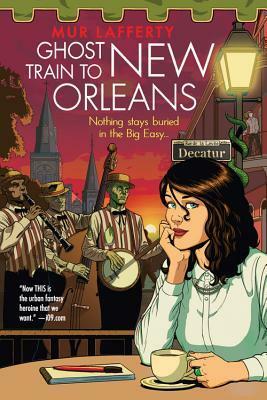 Bright, fun and fast moving, a light comedic touch puts a new twist on this urban fantasy that makes reading it perfect for an escape from the winter drearies. Find out more at Lisa Shearin. 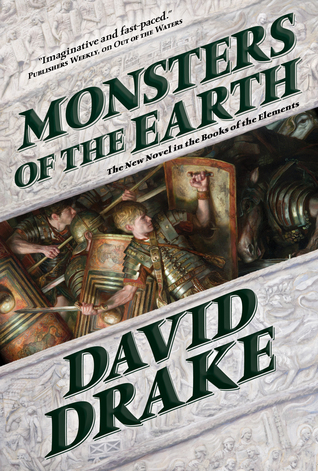 Monsters of the Earth by David Drake (broadcast 9-2-2013) This is third in the series Books of the Elements, four fantasy novels set in a city and empire named Carce, which is very similar to that of Rome in 30 ad. This is a splendid introduction to Drake’s work for those unfamiliar with it and a welcome addition for those who have been enjoying his wonderful storytelling for many years. Here is a setting in which the myths and magic of the classical world are real, and in which classical myths interact with those of other portions of the ancient world. The elements of the series are Fire, Water, Earth and Air. Each element is paired with a cardinal direction. Thus the first novel, The Legions of Fire, mixes Norse myths with classical myths about the far north. The second novel, Out of the Waters (July 2011), involves both Native American myths and classical myths about the Western Ocean. 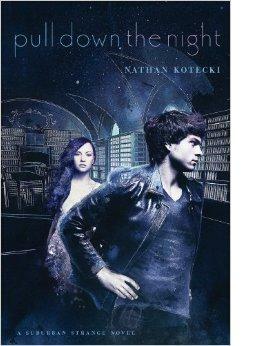 The third novel in the series is titled Monsters of the Earth (September 2013) and relates to African myths. The fourth book, currently being written, Air and Darkness, will involve the element Air and myths of the Indian Subcontinent.